PowerPoint templates are very tricky. There are lots of little details that most people don’t know that can create landmines for them down the road in the building process. 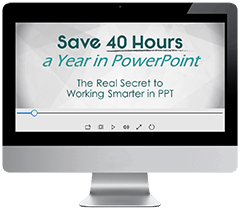 Want to use or create a PowerPoint template seamlessly and not run into trouble after getting through half of your presentation? Then countdown and read these PowerPoint template tips. If you retain information better by hearing and seeing, you may also watch the video below. Otherwise, continue reading. This is the first tip because not a lot of people know this, even sellers of templates themselves! A PowerPoint template is only a template if it’s saved as a “.potx” file. Otherwise, it is a fake template. To learn how to recognize if your template is real or not, check out this article on how to recognize a fake template. A real template is a blueprint that sets the basic framework for every single slide and is usually plug and play. If you want to use a template then you need it saved in the proper format which is the “.potx” file type. When done like this, when you open it, you will start with a blank presentation that’s set to your customized layouts and formatting. 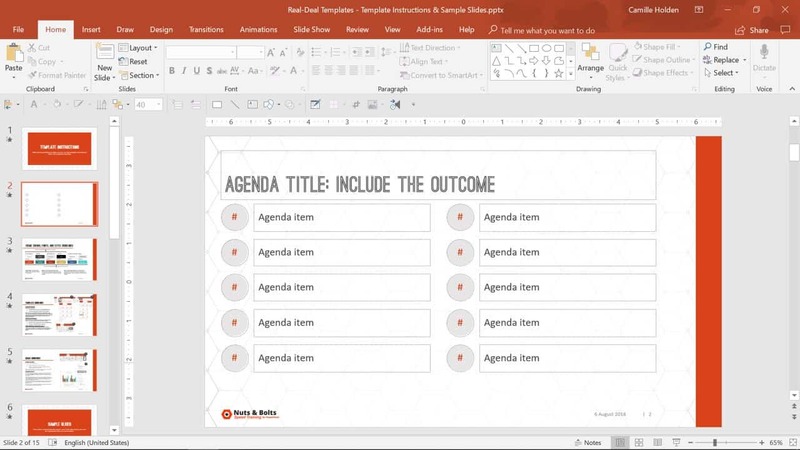 When creating a template in PowerPoint, add guides around the placeholders of the parent slide layout. That way if you accidentally made a mistake or if you want to make things easier to align in the normal view, then you can just turn those on again and see where everything is supposed to be placed. A template is more than a blueprint or layout, it also includes the theme. A PowerPoint theme is composed of fonts and color pairings among other things, and it’s what determines the default fonts and colors of your placeholders and backgrounds. Note: While it is not necessary to send the font and color files along with your template, it is a best practice because it ensures that when the end user opens the template, your custom formatting settings are available. If you know that your layout will call specifically for a photo or video, insert a placeholder that is specifically designed for that purpose. Not only will this make it clearer to the template user to know what exactly goes in what spot, it will also be easy to manipulate. For example, a picture placeholder will crop and resize itself better than the regular multi-content placeholder. One of the best ways to help your template user is to give them clear directions. Did you know that you can edit your prompt texts for your placeholders? Yes, you can type anything you in there. Some suggestions for things to add there are formatting instructions or the type of situations the slide should be used in. 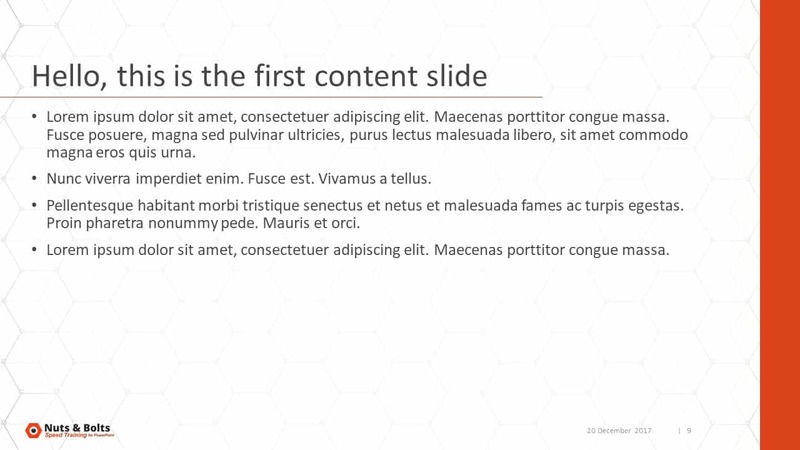 It helps the user know exactly what you intend the slide to look like. This way, they are more likely to follow your instructions. While it is extremely tempting to remove bullet points from text placeholders so that your users are not tempted to use them, this is actually a little landmine for you down the road. Let’s say that despite your clear instructions, someone types text into the placeholder and then decides to add bullet points. Now you have bullet points that don’t match your template’s formatting. This is why I recommended formatting all the elements someone might use, and then providing instructions to not use those elements. It’s not foolproof and it might sound counterintuitive but it is important to make sure that the bullet points being used are consistent across the entire presentation. This is another common mistake many PowerPoint designers make. 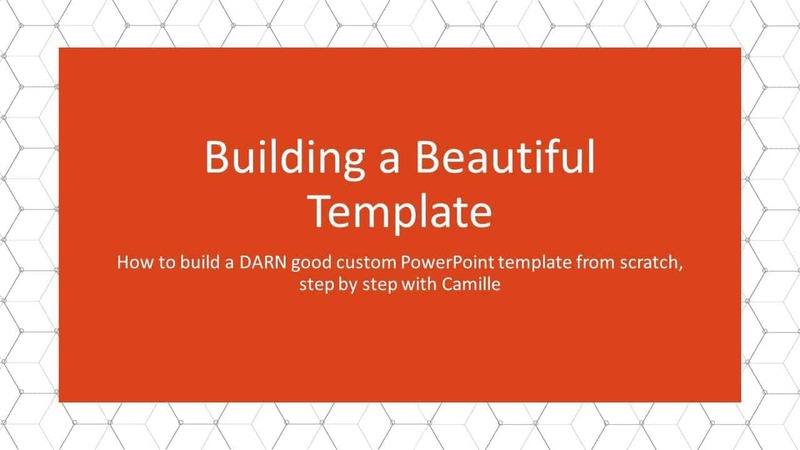 When you build a template you may decide that you want your slides to look totally different from what PowerPoint gives so you may be tempted to delete the title placeholder. This is not recommended. Why? Because this will likely create issues when you’re copy-pasting slides to and from presentations that are based on your template. And when you go and reset your layout, you end up having to reset your entire Slide Master! Using custom fonts can be a great way to add personality and style to a presentation. However, if you use a custom font, you want to make sure it displays on every computer that will be opening that presentation. One way to do this is to embed the font into the presentation. But don't do it! This is a terrible idea because it almost never works and there's more likely to lead to serious problems down the road. All PowerPoint experts will say to not embed fonts. If you want to use custom fonts and still have them be visible, you can save your presentation as a PDF. 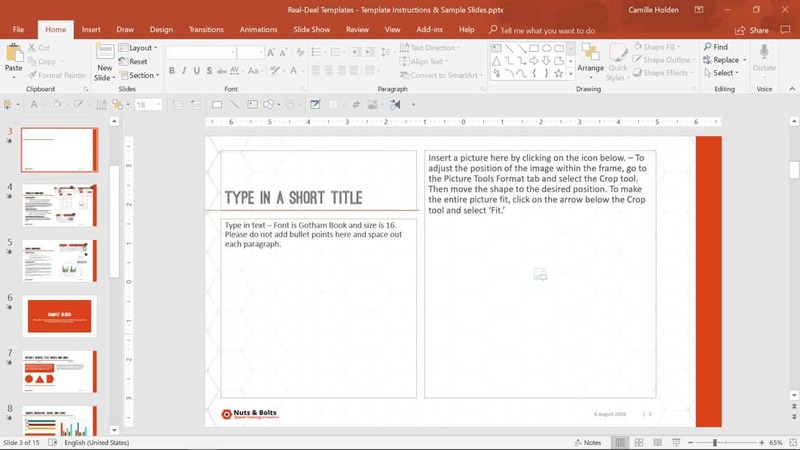 But ultimately, if you want to keep your custom fonts in your presentation and still be able to display them on someone else’s computer in PowerPoint, you will have to install your custom font on every computer that will be opening that presentation. You can learn more about saved fonts and how to work with custom fonts in this video tutorial. Most tools come with a manual or some kind of set of instructions. Your template should be no different. You should never assume that end user knows how to use it. In fact, you should assume that your end users will have no idea how the template works and what you designed it to do. So make sure to always include user instructions and sample slides and to make it as detailed and clear as possible. In fact, some great designers even go so far as to create a short video tutorial or webinar to walk their users through their template. Make sure you envision the type of content your users will be creating, the roadblocks they will encounter and the mistakes they are likely to make - that way, you help them avoid them. This is a common mistake many PowerPoint designers - and even the most advanced users - make! 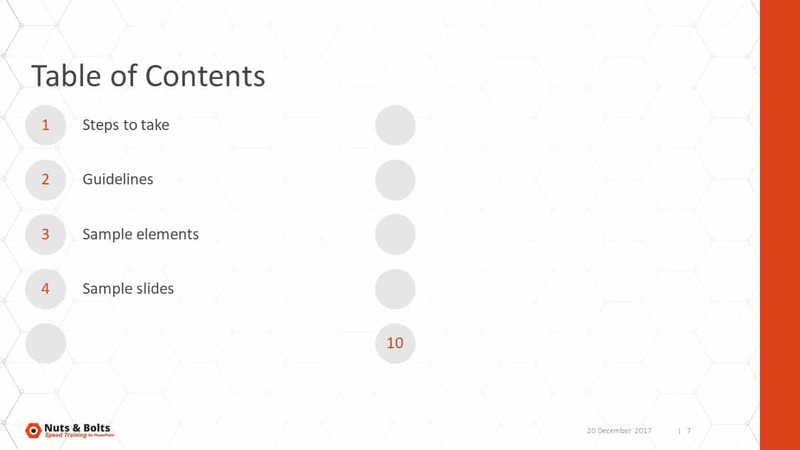 If you don’t like the default slides PowerPoint gives you, you may be tempted to delete the slides you won’t be using. 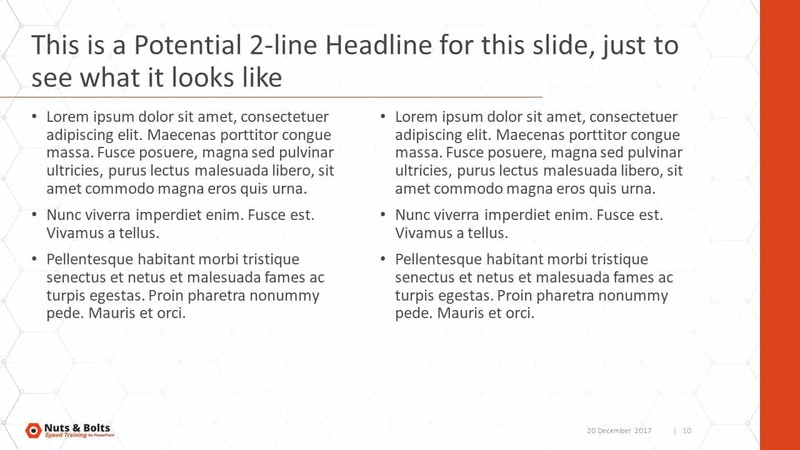 But chances are that you’re using your template with a bunch of other people and you're likely going to be copying and pasting slides from other presentations into this one...right? 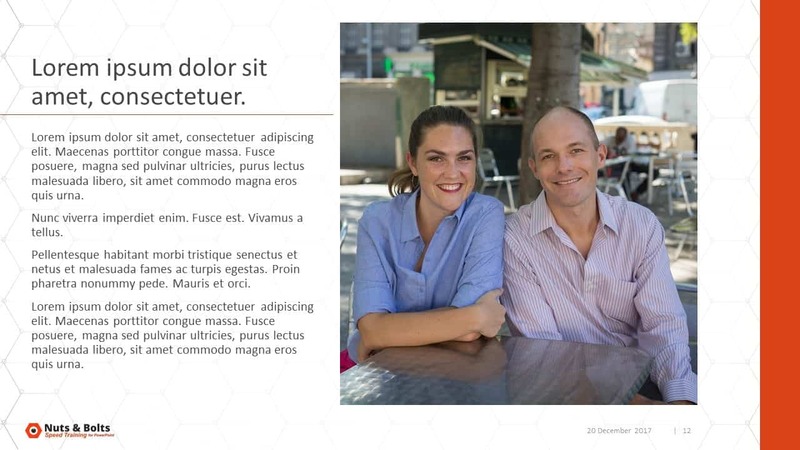 Well what happens if a layout gets deleted from the Slide Master and you paste in slides from other presentation? 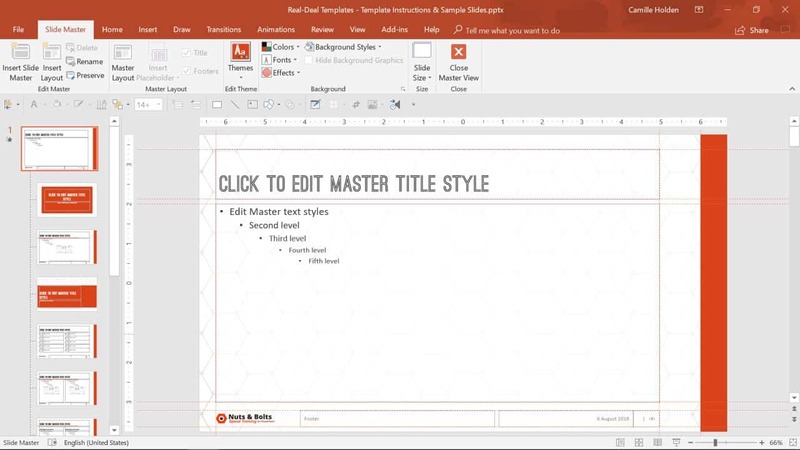 PowerPoint will not know what layout is supposed to match and it will bring in that layout from the other presentation’s template. You will likely end up with a clogged Slide Master that could have hundreds of child layouts that were brought in from other places. In PowerPoint 2016 (the Office 365 subscription), the developers have made is easier and it is better able to recognize duplicate child layouts. But it’s still not fool-proof. 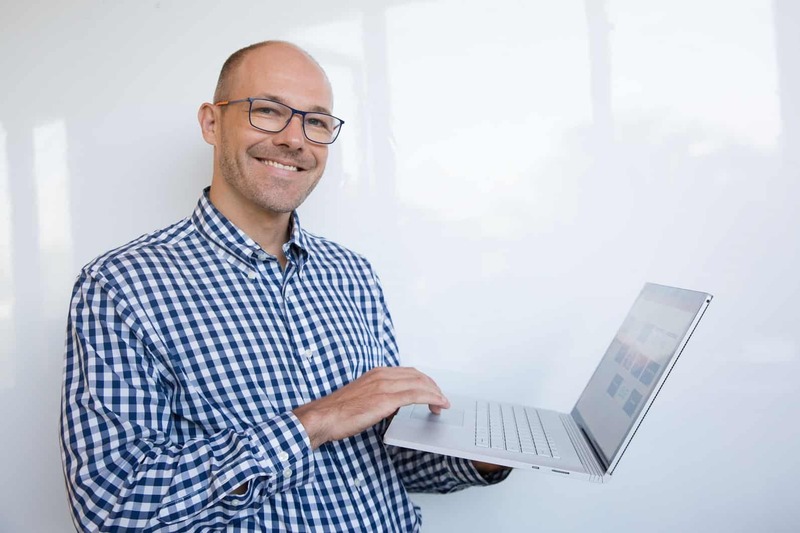 Those are my top 10 PowerPoint template tips. Most of these have been done even by the expert creators or designers, so surely beginners make the same mistakes. Keep these in mind and you’ll be creating templates that are easier to use and are less riddled with landmines. 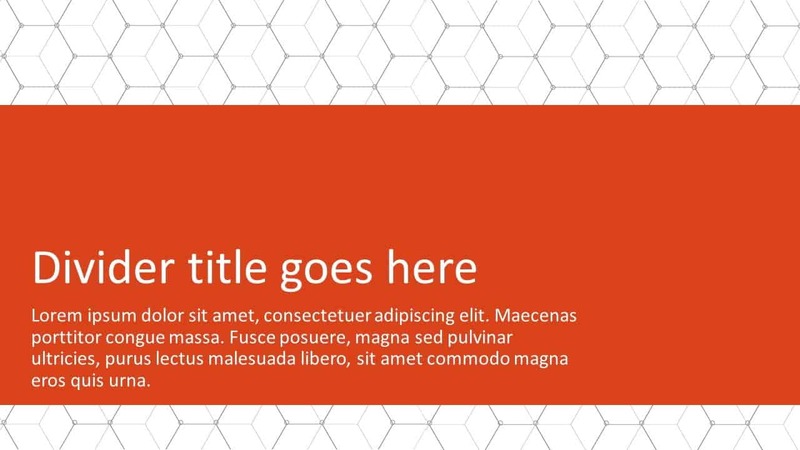 To learn how to create your own custom PowerPoint template, see how to build a PowerPoint template.